Kia has taken the wraps off its updated Sportage SUV which will feature a refreshed exterior and interior design as well as new safety and infotainment technologies. The updated version of the brand's best-selling vehicle will also the first Kia to be available with the manufacturer's EcoDynamic+48V diesel mild-hybrid powertrain, which can reduce CO2 emissions by up to 4% on the Worldwide harmonized Light vehicles Test Procedure (WLTP). 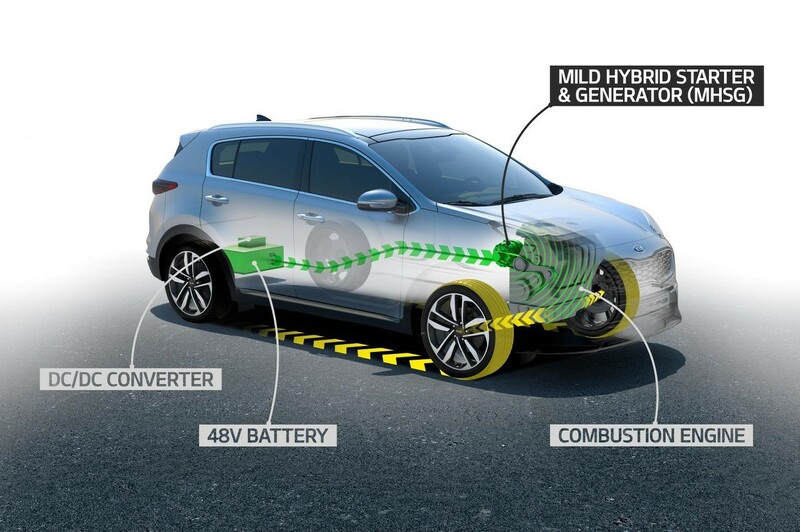 This will make Kia the first manufacturer to offer hybrid, plug-in hybrid, battery-electric and 48-volt mild-hybrid technology across its full model line-up. Kia will launch 16 advanced powertrain vehicles by 2025, including five new hybrids, five plug-in hybrids, five battery-electric vehicles and, in 2020, a new fuel-cell electric vehicle. Kia sold more than 131,000 examples of the Sportage in 2017, representing a quarter of the brand’s total European sales. In the UK, the Sportage continues to be the brand’s biggest seller with 39,683 delivered to customers in 2017, making up over a third of UK sales last year. 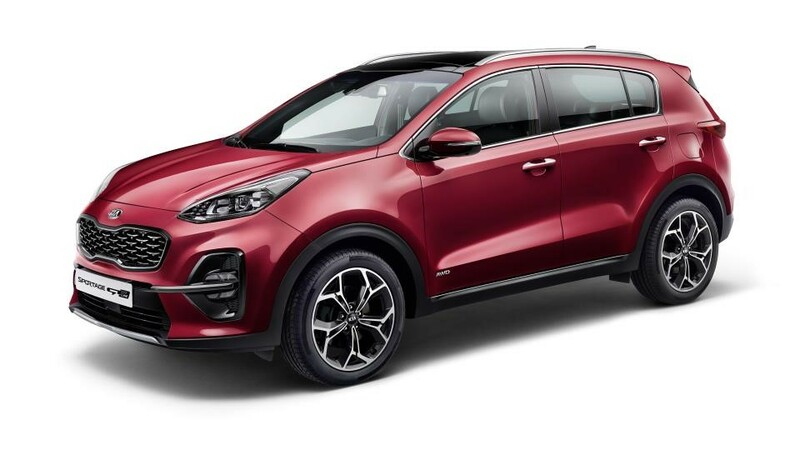 As well as the introduction of the diesel mild-hybrid, the Sportage’s existing 1.7-litre CRDi (Common-Rail Direct injection) diesel engine has been replaced with Kia’s new 1.6-litre ‘U3’ CRDi engine, the cleanest diesel engine Kia has ever made. The new engine produces 115PS or 136PS, with higher-powered models available with all-wheel drive and seven-speed double-clutch transmission. All powertrains are now fully compliant with the Euro 6d TEMP emissions standards. Exterior styling changes include new front and rear bumpers, as well as redesigned front and rear lamps and new 16-, 17- and 19-inch alloy wheel designs. Options include chrome sill trim and metallic skid plates, and five new paint colours. GT-Line models are equipped with a gloss black hot-stamped radiator grille, a gloss black and silver skid plate, and dark chrome inserts on the side sills and rear tailgate. The GT-Line’s 19-inch alloy wheels have been redesigned, and all models are fitted with a dual exhaust rear valance and revised ‘ice cube’ LED fog lamp designs. The cabin features a new steering wheel and revised instrument cluster, as well as new black-and-grey two-tone upholstery. ‘GT-Line’ models are available with new black-and-grey two-tone leather seats, or optional black leather with red accents. 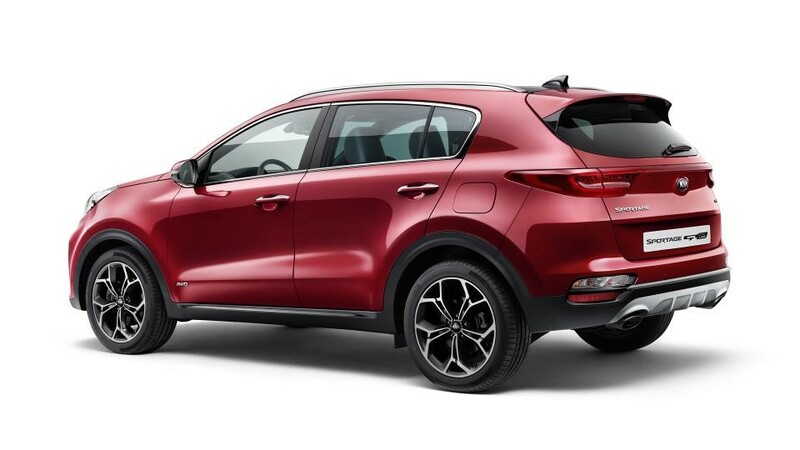 The new Sportage adopts Kia’s latest advanced driving assistance systems, including Smart Cruise Control with Stop&Go, an Around View Monitor for parking manoeuvres, and Driver Attention Warning, to combat fatigue and inattentiveness at the wheel. 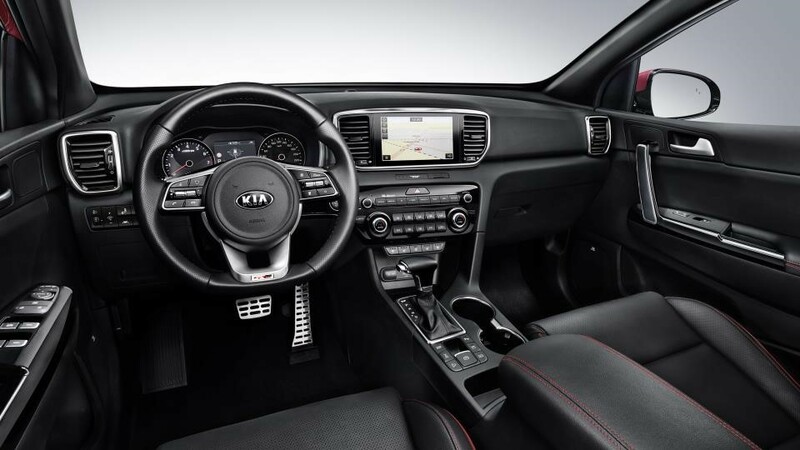 European customers have a choice of Kia’s new infotainment systems: a 7.0-inch touchscreen, or a new ‘frameless’ 8.0-inch infotainment system.